#1 Anaheim Repipe Specialist for Copper & PEX repiping. For a top rated repipe plumber in Anaheim, California, Integrity Repipe has the copper and PEX plumbing specialists to get the job done with quality and efficiency in mind. 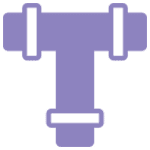 With certified crew members to provide you with knowledge and expertise on what kinds of piping you should incorporate into your home’s plumbing, choosing the right material is as easy as talking to one of our trained technicians. Get long lasting and professionally installed pipes in your home or business with Integrity Repipe in Anaheim, California! With five-star client reviews on Google and Yelp, you can trust our plumbing experts to bring quality and longevity to your piping systems in residential properties. A+ rated with the Better Business Bureau, Integrity Repipe has been operating in California since 1990 and continues to provide excellent, pipe replacing services for home and business owners throughout Anaheim and other areas in California. 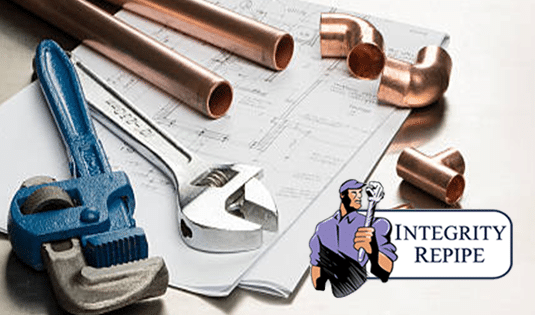 Whether you are renovating your home and you discover a plumbing issue that needs to be resolved, or you simply need to replace the pipes in your home, Integrity Repipe offers affordable and fast copper repiping, PEX pipe replacement, and much more. Our technicians can help you find the material that will best suit your needs and make sure we have it installed on your set timeline so that deadlines are met and your plumbing is in prime working condition! For the average 2 to 3 bathroom home, it takes roughly three days to finish a job to completion. The first day consists of removing old pipes and replacing them with your new plumbing. The following two days involve patching and repairing the walls in your home to make it seem as though we were never there. To learn more about our repiping process, contact us today! 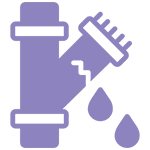 Integrity Repipe is an affordable plumbing company serving Anaheim, California and we provide timely and affordable residential repiping services for those in need of quality plumbing. Over time, the pipes in your home or business can wear down and cause leaks, rusty water, and low water pressure. 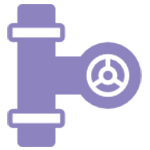 To remedy this, you need a trustworthy and affordable repiping company in Anaheim who can replace your outdated plumbing with a long lasting material that is both dependable and works properly. When your water pressure suffers and your pipes become leaky, Integrity Repipe offers minimally invasive slab leak detections so we can find the source of the problem. Often times, the materials that were used upon primary installation, are recycled and manufactured in foreign countries. At Integrity Repipe, we use materials manufactured in the U.S. to ensure quality and longevity for your pipes! At Integrity Repipe, we provide many options for alternative plumbing in your home, including PEX pipe systems. Although there are many benefits to the PEX plumbing systems, it can be more costly than other pipe materials like Copper. However, it does last longer and is far more durable than most systems. This ensure that you won’t be paying for repair after repair for years to come. Although copper is the more cost effective option, PEX plumbing systems last far longer and won’t require regular maintenance like copper pipes do. PEX piping also resists freeze damage, corrosion, and is much more flexible than Copper. At Integrity Repipe, we offer installation of both systems and can help you decide which material best suits your needs in your home or business. With non invasive leak detection, Integrity Repipe in Anaheim is just the residential repiping company to take care of your leaky pipes and and full pipe replacement. For a top rated pipe replacement company in Anaheim, Integrity Repipe is both trustworthy and affordable, bringing you quality pipe replacement for residential properties. With an A+ rating with the Better Business Bureau, five star reviews on Google and Yelp, we have over 26 years of experience performing pipe replacement throughout California. Our technicians are trained and licensed to provide you with old pipe replacement, galvanized pipes, copper pipe replacement, CPVC pipes, PEX pipe systems, as well as leak detections and much more. For more information about Integrity Repipe and our many service areas in Anaheim, contact us today!